There are some things that are just better left alone. RGIII has been under the microscope since before he made it to the NFL. He had a breakout freshman year and it was only cut short because of an injury partially caused by his own overdetermination. During the offseason, he has had surgery to repair his knee, been working with rehab and preparation for the next season, planned for a wedding to his college sweetheart and made the rounds at some public events. He is a smart, savvy and talented young man. This apparently means that he is a target for Donavan McNabb. In a recent interview with the Washington Post, Donovan decided to criticize the young QB for his busy and public presence during an offseason of rehab and preparation. 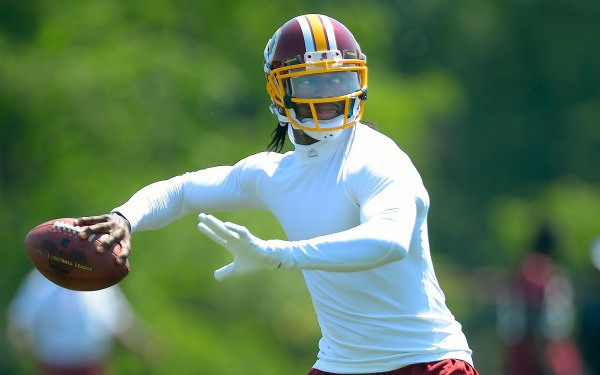 Comparing his public involvement to a sideshow, Donovan believes that RGIII is more of a distraction and is failing to keep his focus on what matters. This, of course, ignores all of the regular work and the history of dedication RGIII has put into his football career. He was cited multiple times last season as the first one in and the last one out of the practice facility. He deserves a chance to enjoy his fame and success, particularly since he is not doing anything to attract any sort of negative attention. To McNabb, please stop finding excuses to attack the Redskins and the young QB. If you want to show your “support” for a young man trying to make his mark, try lifting him up instead of finding excuses to put him down.